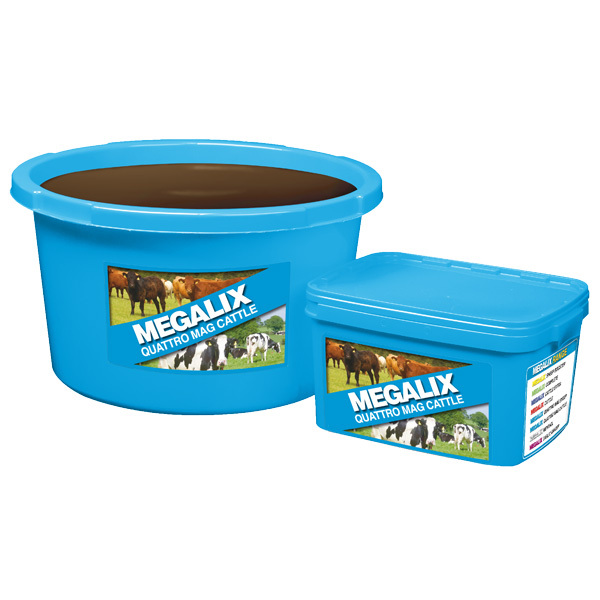 Innovative high mag tub with four sources of highly bioavailable magnesium. Feed to dairy and suckler cows during staggers risk periods. Combines two quickly available sources with two slowly released sources of magnesium for the ultimate protection against grass staggers.